Welcome! We are U. P. Rowing in Marquette, Michigan. We row on beautiful Lake Superior from Founders Landing. What a great sport. I want to try it! U.P. Rowing is a non-profit all-volunteer rowing club. Since 2004, U.P. Rowing has provided public group outdoor recreation in the sport of rowing in the Marquette, MI area. Thanks to our volunteers, we provide specialized training, access to equipment, and safety measures so you can experience group rowing. Programs are open to adults ages 18 and over who are interested in sweep rowing and sculling. We also run a youth program for high school students. Our youth have gone on to row with collegiate crews, and the Summer World University Games! We host an annual regatta, and have a program to place rowing machines in local schools. 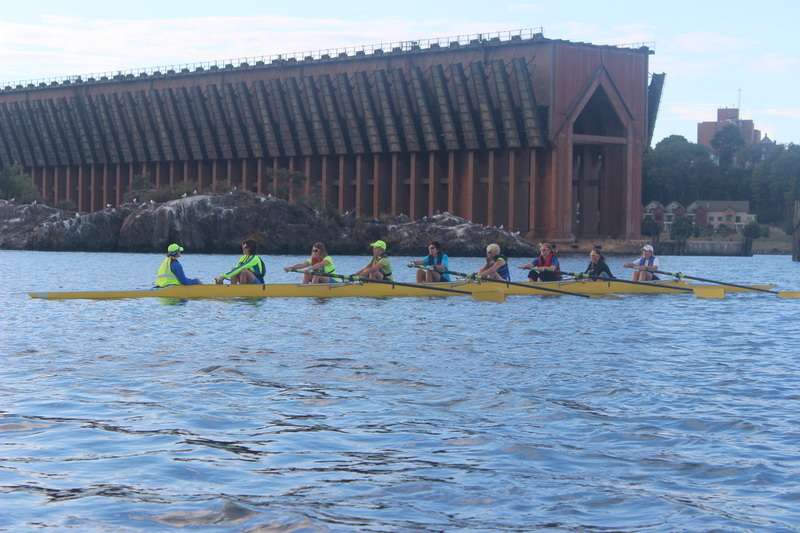 Most of our rowing is done on beautiful Lake Superior. While our on-water rowing season runs from June through late October, we also get together for erg training in our clubhouse and other athletic and social pursuits during the rest of the year. Rowing is one of the only forms of exercise that is a non-impact activity and still exercises every major muscle group. We provide an opportunity for co-ed, multi-generational fitness, collaboration, fellowship, and fun. To learn more about membership, e-mail Gail Brayden at gbrayden@charter.net. Or you can stop by our Clubhouse under the observation deck at Founders Landing if we're there. U.P. Rowing is a registered 501(c)(3) non-profit, so your donation is tax-deductible!